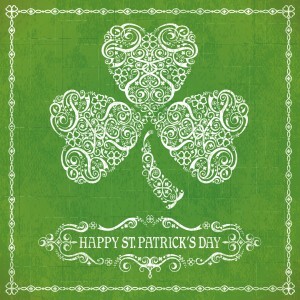 St. Patrick’s Day, also known as the Feast of Saint Patrick, is about more than green beer, parades, and shamrocks. It’s about honoring St. Patrick, the patron saint of Ireland, who converted the people of Ireland to Christianity. Here are 10 interesting facts you may not know about this March 17th holiday that is celebrated by people of many nationalities and religions. St. Patrick wasn’t Irish – He was born in Britain around 385 AD. St. Patrick was a slave – When he was 16, St. Patrick was kidnapped and brought to Ireland as a slave. Blue was the original St. Patrick’s Day color – In paintings, St. Patrick is typically wearing blue, which at that time was a popular color for representing the country. At some point, St. Patrick’s Day and Ireland itself became associated with green most likely because of the country’s lush green countryside. There were no snakes – Legend has it that St. Patrick gave a sermon and drove all the snakes out of Ireland. Most scientists believe that there never were snakes in Ireland. It is possible that the snakes were a metaphor for evil. Originally alcohol-free – In 1903 St. Patrick’s Day became an official national holiday in Ireland, and up until 1970, pubs and bars had to remain closed on that day. NYC has the largest parade – The world’s largest St. Patrick’s Day parade is held in New York City, marching up 5th Avenue, from 44th to 86th Street. Each year over 150,000 people participate. Established in 1762, the NYC St. Patrick’s Day parade is also the world’s oldest civilian parade. A global celebration – St. Patrick’s Day has grown in popularity throughout the years and is now celebrated in many countries around the world including Japan and Singapore. The holiday is observed on the day of his death – St. Patrick’s Day is observed on March 17th, which is the day St. Patrick is believed to have died, although records of births and deaths at that time were not that accurate. The shamrock shortage – On St. Patrick’s Day, people traditionally wear fresh shamrocks on their lapel. According to legend, St. Patrick used the shamrock to represent the Holy Trinity: the Father, the Son, and The Holy Spirit. But in 2010, severe winter weather caused a shortage of wild shamrocks in Ireland. Many people had to wear shamrocks that were not the “authentic” three-leafed clover. The Irish Times referred to these lookalike plants as “bogus” shamrocks. Guinness consumption doubles – According to Beth Davies Ryan, global corporate-relations director of Guinness, on St. Patrick’s Day, consumption of the Irish stout increases from 5.5 million pints a day to 13 million pints.